﻿ Ohio Glass Museum & Glass Blowing Studio - Ohio. Find It Here. Ohio Glass Museum & Glass Blowing Studio offers a visit full of history on the glass industry in Fairfield County, Ohio and especially in Lancaster, Ohio via of our video and guided tour representative. We give a live demonstration on glass blowing or flameworking as part of your guided tour. You will see a special exhibit of collectors glass that changes twice a year. Some of the pieces are from the Ohio Glass Museum's collection and some are from the many collectors of glass who loan pieces from their private collections when they participate in one of our exhibitions. Displays on the past shows in our Gallery reflect on pieces we have in OGM's archives. We do not open our archives for tours, but are happy to find and show to our visitors an item, if available, that they have a question or related interest. 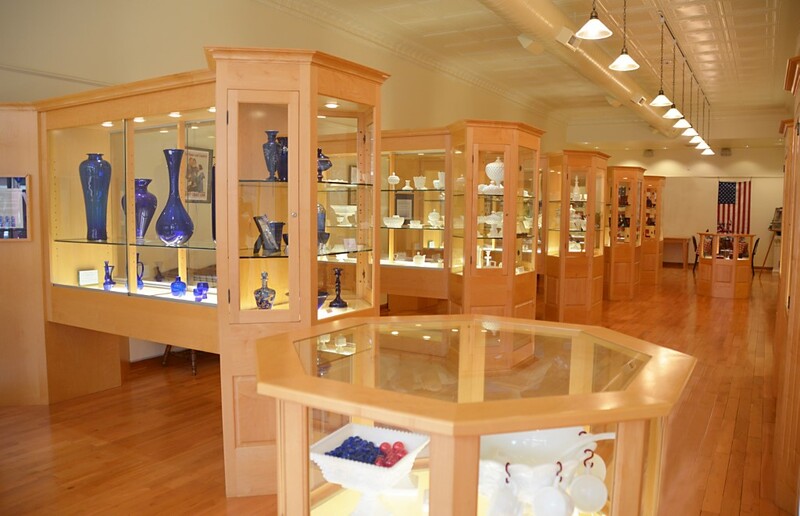 Our tour also takes you through special displays on the history of glass from the beginning of time when man first discovered how to make glass.Our gift shop provides many glass selections that have been blown in our studio or made in one of our flameworking classes. Other selections of glass make for additional choices to choose from for our visitors.